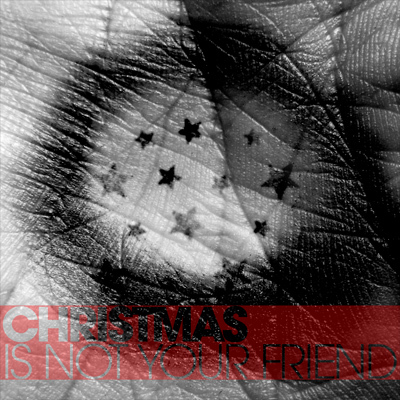 Christmas Is Not Your Friend : a Culture Is Not Your Friend! Winter compilation out now ! Posted on January 2, 2012	by Culture Is Not Your Friend ! A lot can be said about tradition, religion, Santa, Jesus, Hannuka, God, Allah, winter solstice and so on and so forth. A lot of criticism can be sent towards any of the aforementioned fields (and it well should! ), but this is not what we are gathered for tonight. Marking special and specific events throughout the year is indeed a beautiful and important ritual, whose reasons can be easily outweighed by its results, if we celebrate and mark it in a positive way. I have witnessed Christmas Eve only once in my life so far, in London. The streets were painted with the Red of blood, the Green of greed and the White of commercial blindness like I have seen so many times in movies. Yet inside the house where I was a very thankful guest, that evening was an amazing and modest moment of family bonding and friendship. Truth or myth were not important, these people were not even Christians. I sat there, staring at the Christmas tree which did not resemble the Christmas tree I know. It was round, naked and beautiful. I saw a family being happy and for a moment I was a part of that family. I saw love. In this spirit of lifting ourselves like a bright phoenix for a brief moment, before burning down again into the sandy, muddy and dusty pools of life, Culture is not your friend! is happy to present you with a holiday compilation with some great artists and music on it. We hope you will like it.